It seems everybody is touting "quality" these days. 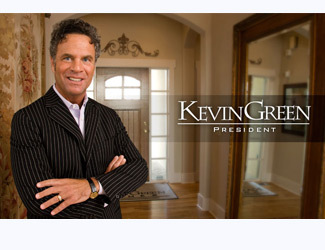 At Kevin Green Homes, we don't just talk about quality - we build it in to every one of our homes. And it's quality you can see as well as experience. We only use craftsmen who have proven themselves to meet the Kevin Green standard of excellence. From our day-to-day commitment to quality service to the kind of quality that lasts a lifetime, Kevin Green Homes is the custom home builder who understands what true quality is and how it makes your home a better place to live.